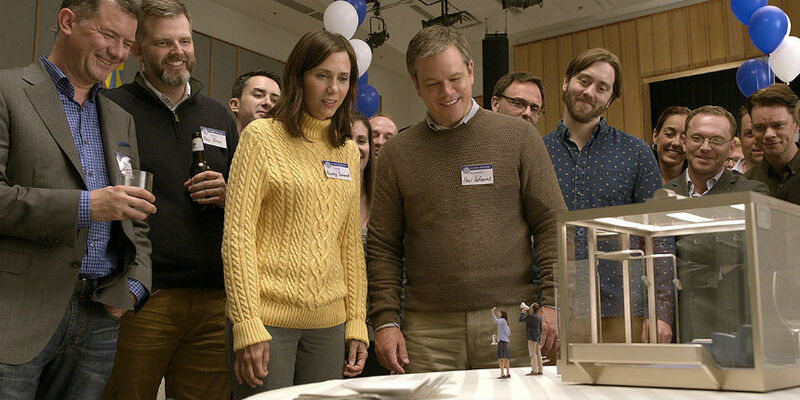 Alexander Payne's Downsizing opens the Venice Film Festival tonight and that occasions the first teaser, set to Talking Heads' very familiar tune "Once in a Lifetime." "It's the only rational solution. With human consumption rapidly exhausting Earth's resources and nowhere else to go, Norwegian scientists perfect a radical process: miniaturization. We can now shrink human beings down to the height of a hot dog, and that one hot dog can feed a human for a week."